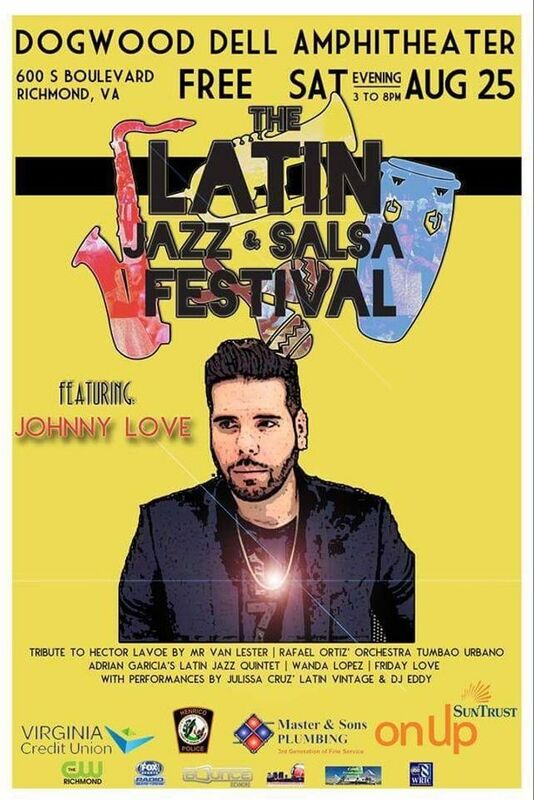 Saturday August 25th, 2018, at the Dogwood Dell Amphitheater in Richmond, Virginia - Johnny Love -featured at the Latin Jazz & Salsa Festival. Can't wait to catch another set! Johnny Love Band Rocks! Awesome show and great vibes every time !! awesome! ...kelly rocked it ! !